It’s almost New Year yet us, moms who run in the corporate world, just got today (30th of December) as start of our holiday break. Though we just came fresh from the stressful life in the office, I am pretty sure that we all still want to fix some yummy dishes for our dearest loves. SuperMoms, we are! 1. Chill the all purpose cream overnight. 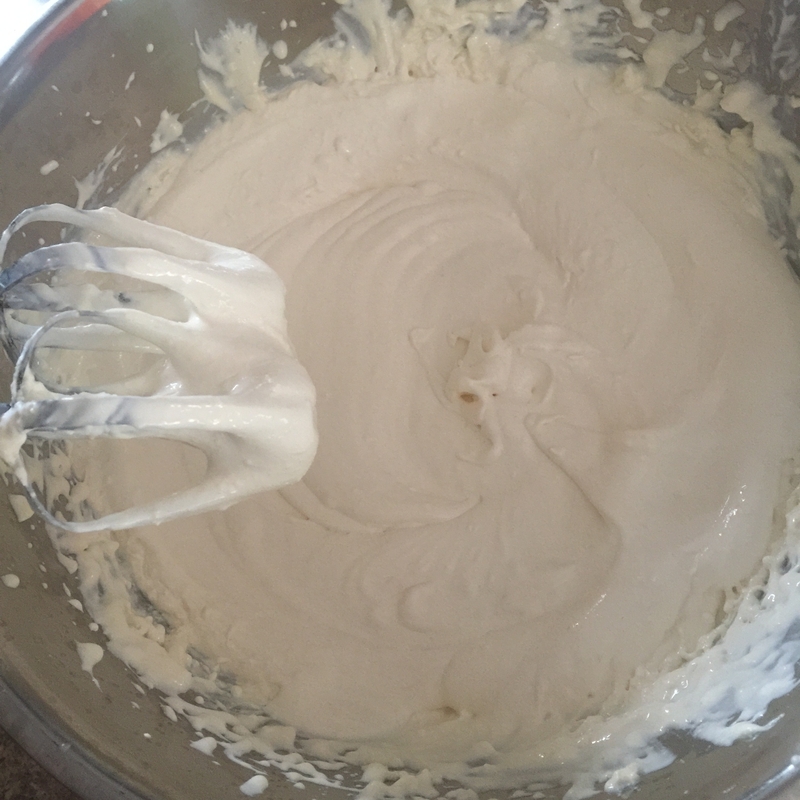 Tip: Chill also the mixing whisks and bowl for best results in whipping the cream. 2. Whip the cream first on low to high speed. 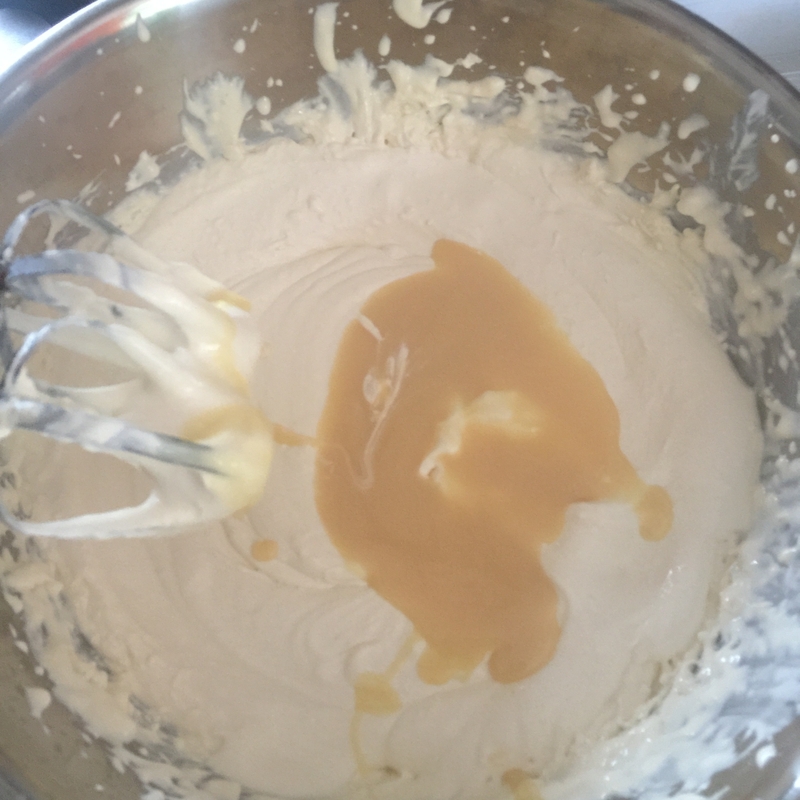 When the cream has doubled its volume and it forms little peaks, add the condensed milk. Whip for a few minutes. 3. Get the tubs and spread a little of the cream mixture at the bottom. 4. 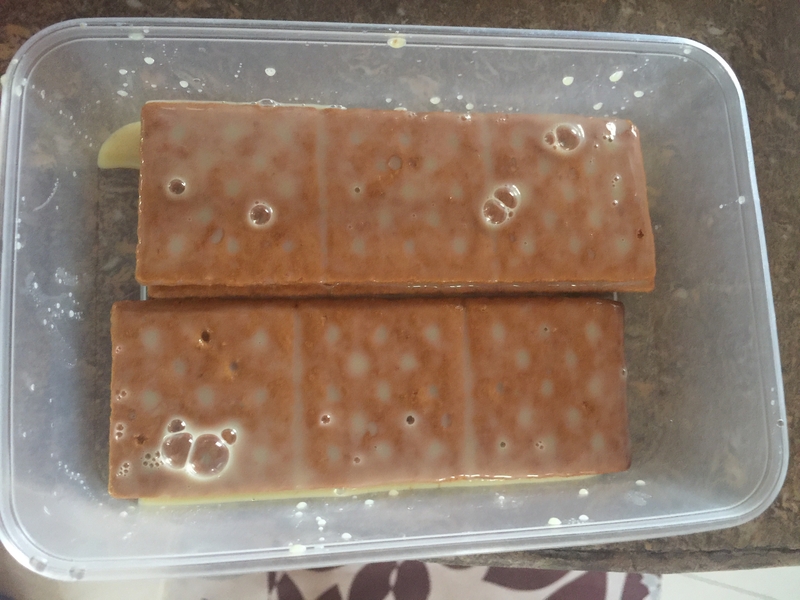 Start layering the crackers then put 1 cup of cream. 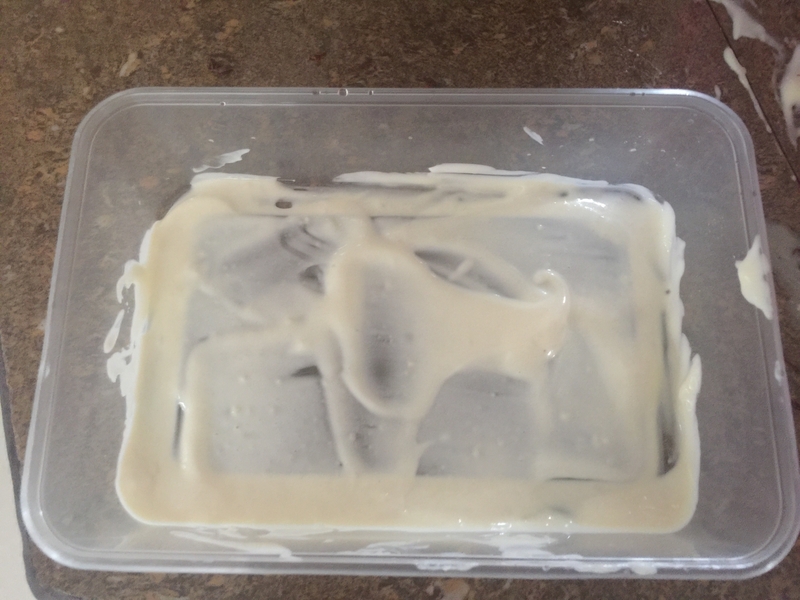 Grate some chocolates on top of the cream. 5. Do step no. 4 for layers 2 and 3. 6. On top of the 3rd layer, drizzle some chocolate syrup. There you go! 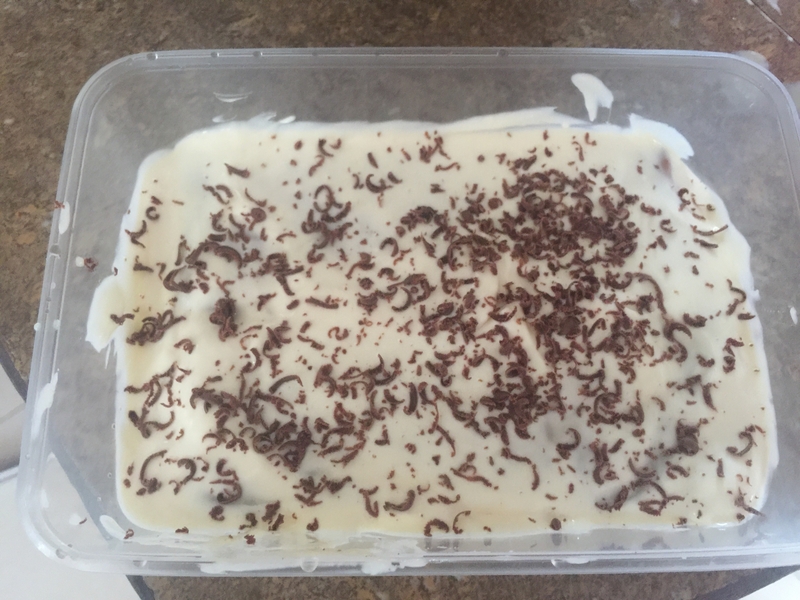 Very easy-to-prepare, all time favorite, yummy dessert! The Triple Chocolate Float is like an ice cream and a cake rolled into one. Why get those expensive store-bought ice cream cakes when you can do it on your own in a breeze? And most of all, you also get to bond with your kiddos while preparing it. Panalo! Hoping we all have a happy 2017! Happy New Year, Merry Moms! This entry was posted in Family & Relationships and tagged Alaska, Alaska condense, Alaska condensed milk, Alaska evap, Alaska evap milk, Alaska evaporated, Alaska evaporated milk, Alaska milk, all purpose cream, apc, cake float, chocolate graham cake, chocolate graham float, condense milk, condensed, condensed milk, dessert, easy-to-make, easy-to-prepare, evap, evap milk, evaporated, evaporated milk, graham, graham cake, graham cracker, graham crackers, graham float, M. Y. San, M. Y. San graham, M. Y. San graham cracker, M. Y. San graham crackers, M. Y. San grahams, Media Noche, Nestle, Nestle All Purpose Cream, New Year, no-bake, ref cake, refrigerator cake, yummy. Wow- looks yummy. I think I have all the ingredients in my pantry. Thank you for sharing this cool recipe. My boys love my graham cakes. I.havent tried this with the grated chocolate and I am excited to try. Surely the boys would like it as they love anything with chocolate. Making graham cake is the easiest way to make desserts and please the children. Benta ba to sa Media Noche? I am sure it was. Who doesn’t love sweets? Sarap! Gawa nga din ako since I have a lot of graham na natira from the holiday feast. I loooooove sweets! Thanks for sharing this, Mommy May! I’ll try this soon! Woah!! This looks yummy and easy to prepare dessert. The recipe looks easy enough. Thanks for sharing, I am thinking of preparing one over the weekend. I am not good with cooking and baking and anything that has something to do with kitchen aside from doing the dishes and cooking rice and fried eggs, lol. This is why I also go with easy to do recipes like this one – those that aren’t very complicated. hehe. I love graham cake. It’s not so sweet yet it gives you the sugar rush. Thank you for sharing! There’s something really fuss-free about no-bake cakes, no? Plus they’re like ice cream cakes! 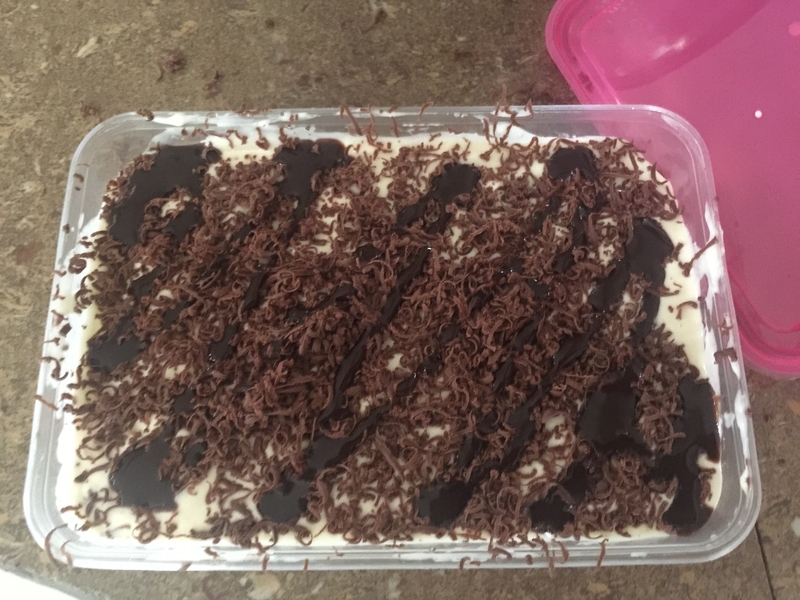 Thanks for another graham cake recipe!!! Tamang tama! 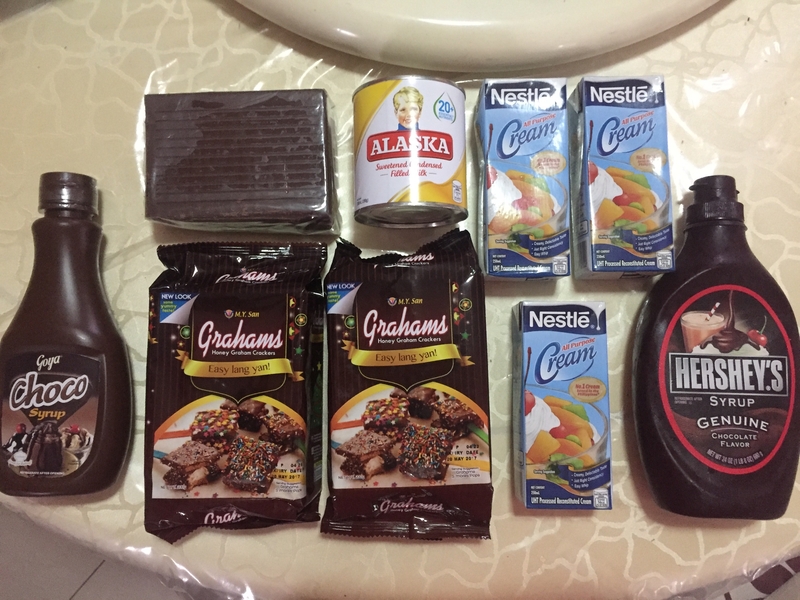 We have chocolate bars and chocolate syrup at home na ang tagal ko ng pinag iisipan kung anong gagawin ko. Will try this, thanks! Thanks for this recipe! we’ll definitely try this..
Oh I love graham cakes, but the problem is my toddler. Every time na kakain ako ng chocolates sabi nya sakin “Ew ma, yucks”! Lol! Ayaw nya ng chocolates. But I love this. I’d love to do this sometimes. Tempting and looks oh, so yummy 🙂 Napakahilig ko pa naman sa chocolate 🙂 Thanks for sharing! Ah yes, I did another version of this some years ago. The one with bananas and instead of grating the chocolate, I chopped them in chunks. Cream and Condensed milk is such a wonderful combo in the kitchen to have, hihi. Hmmm, my kids will love this! Mango graham float lang ang ginagawa namin with grahams but I’d love to try this. This is something that my son will definitely love. I’ll try doing this at home soon. Thanks for sharing! Never thought of doing this last holiday season. LOL! I made crema de fruta instead since nobody makes that in the family anymore these days. 😀 Will have to keep this in mind the next time a family event comes up. This is an easy recipe to follow. Will try this also. Thanks for sharing. Wow! Looks yummy and verrryyy swweeetttt! With all those chocolates! I’m gonna try this at home, a different variant of graham cake for my family, baka sawa na sila dun sa graham na may fruits hehe, thanks for sharing!! oh my ang diet! haha I made a mango graham refrigerated cake last week and my boys love it. Will try your recipe next. Thanks! This looks very easy and yummy at the same time. It’s also perfect for gifting to family and friends.